A distinct change of fashion emerged at this time inherited from the "Art Nouveau" movements of 19th century Europe and at its heart was the "Queen Ann" villa. It was seen as a breath of fresh air where decoration was no longer a staid afterthought, but integrated with materials and structure to compliment, rather than supplement each other. Interstate it had occurred earlier and was embraced more fully. 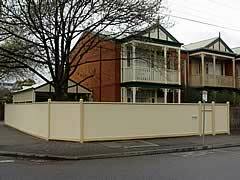 In Adelaide, consistent with our reputation, we adopted a more conservative, but perhaps, less pretentious approach. 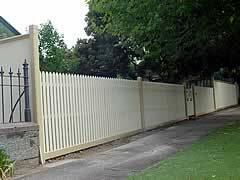 The dominant characteristic was the replacement of lacework with timber fretwork in the verandah form. 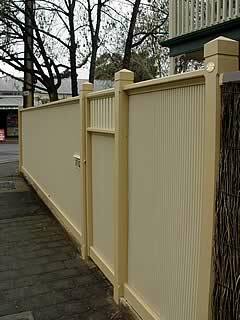 The variety was endless from massive curved brackets to turned balusters or battens set in a timber valance. 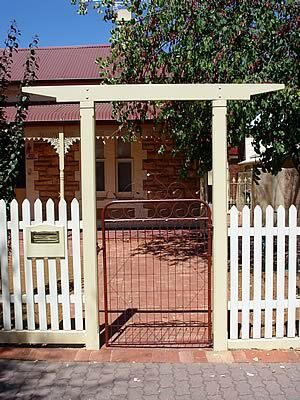 Turned verandah posts still had their place but many later styles have square posts with multiple indented collars and diminishing chamfers. The straight line was frowned upon replaced by the long flowing sinuous curve and timber, rather than steel, was the medium by which it was achieved. 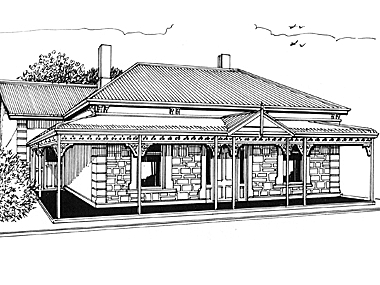 Roofing within this style was highly varied, simpler cottages incorporate the verandah within the main roof line where as larger homes have multiple louvered gablets and roof ornaments, not only on the cap, but also on ridges and hip ends. Gables have exposed trusses heavily adorned with turned pendant drops often twin level, pebble dash plaster or pressed tin in fills. 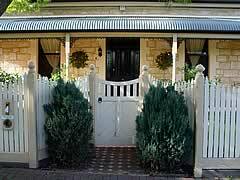 Rectangular bay windows, some triple casement, are now often found under the return verandah line now with lead light fanlights and at the entrance door leadlight; the distinctive inverted heart shape. Spiked finials are replaced by ball or Goose Neck finials on roof ends. 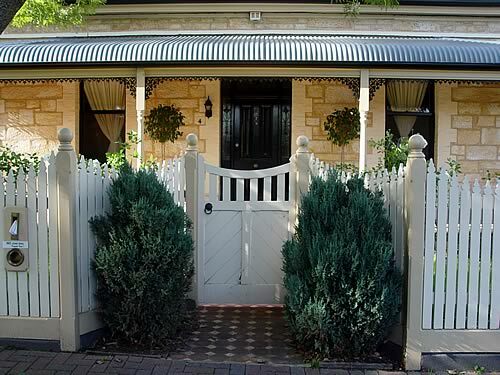 Window canopies of mini flute, Fish scale or heart shaped pressed tin, key hole & round feature windows, flower pot chimney tops, arched masonry and timber balustrades are further characteristics. 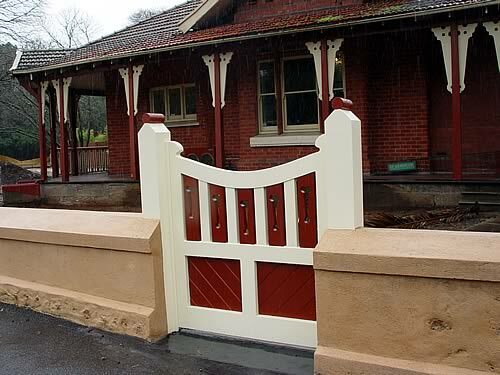 In the large part, sandstone replaces bluestone and many examples conceal the building fabric with pebble dash white plaster, larger homes have conical roofs, turret top entrances and often a side entrance door leading to an L-shaped corridor. Overall the house interior and layout remains little changed and the utility rooms have yet to make it in under the main roof although the bathroom has now reached the lean-to. Victorian lace has given way to a more fanciful ornamentation; arguably little more than superficial cosmetics. However one internal change is largely consistent throughout the style: an overhead fretwork arch has appeared in mid-corridor. 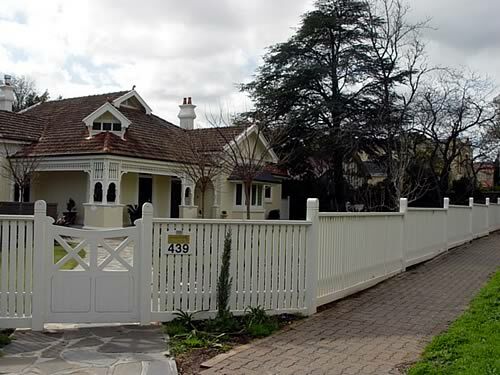 Edwardian homes are predominant in areas such as ? 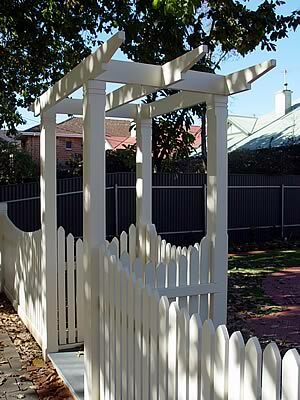 A single ranch style Arbour. A four post pergola arbour with recessed gate. 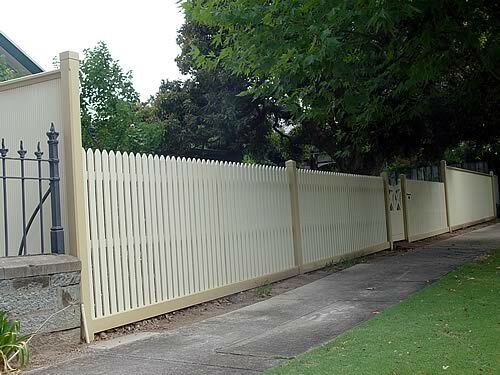 A fretwork top to the gate marks its position. 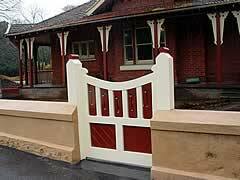 A feature gate detailed by Heritage architects reflects the rich fretwork. 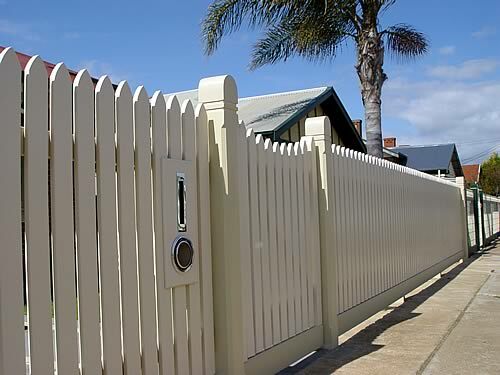 A more decorative picket in scollop form between round knobs. A prominent Edwardian villa takes advantage of it's corner position. 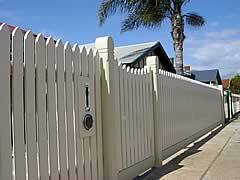 A sloping plinth throughout both styles of fence yet maintaining a window sill line on the home behind. A small scollop of pickets in the gate provides a welcoming note. 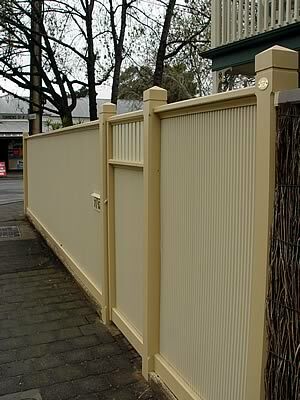 A vast improvement on the old brush fence that preceeded this fence distinguishing the property from its neighbours.